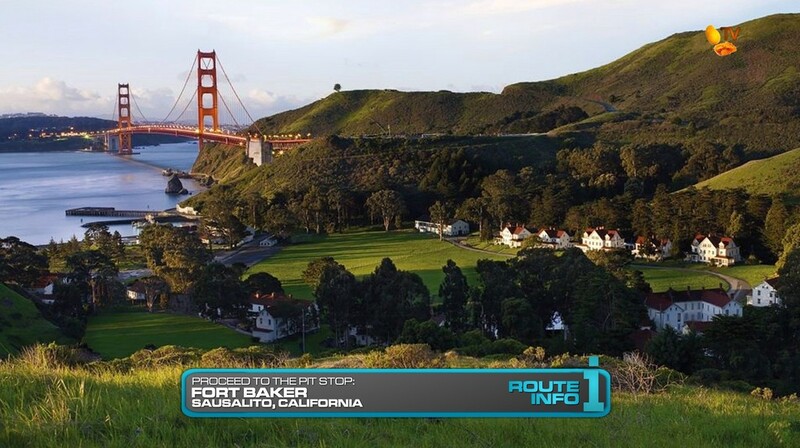 The 2nd Leg of the Race begins as teams learn their next destination is San Francisco, California! Teams will book their own tickets, but really they’ll be flying back to Honolulu and then on one of two flights to San Francisco. The United Airlines flights will arrive at either 4:54am or 6am. Once they arrive at San Francisco International Airport, they must run over to the Bay Area Rapid Transit (BART) station, which is inside the International Terminal, to catch a train to Colma Station. Teams will exit the Colma BART Station and search on foot for the nearby Holy Angels Church. 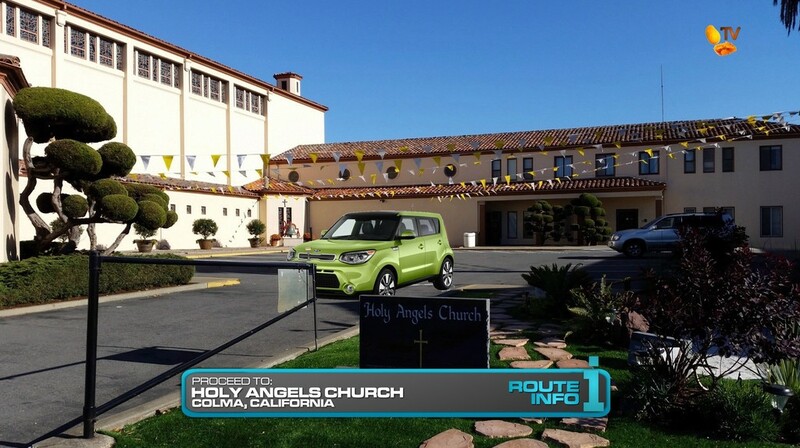 Here, they will be greeted by students of Holy Angels School performing Filipino dances who will give them their next clue and keys to a brand new 2016 Kia Soul which they will be driving on this Leg of the Race. Teams will then need to drive to the Sutro Baths. They’ll have to search the ruins of the historic and scenic site for the cluebox. 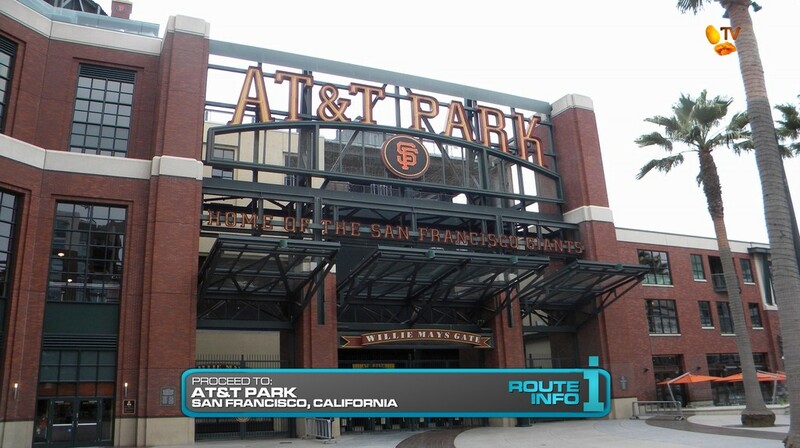 That clue points teams to AT&T Park, the home of the reigning World Champion San Francisco Giants. 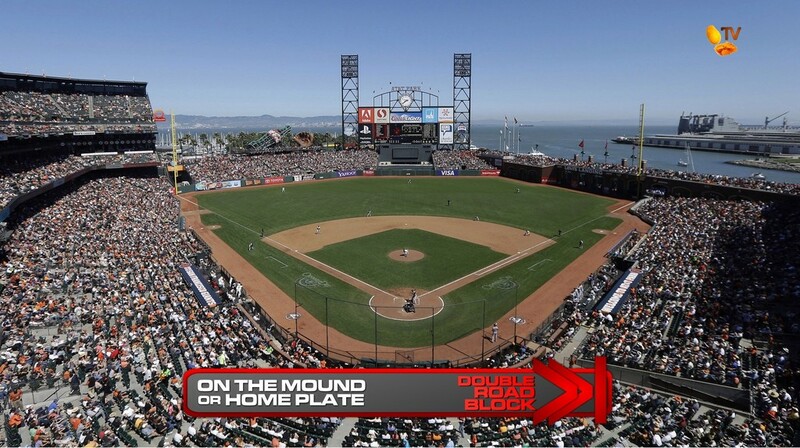 Outside the ballpark, teams will find the first Double Road Block of the Race: On the Mound or Home Plate. The team member on the mound will pitch to their teammate at home plate. The batter must hit a total of three balls into the outfield, but Strike and Ball rules will apply. If they hit a home run, they will automatically get the next clue. If they don’t get three balls into the outfield, they must go to the back of the line. After 9 “innings” or at bats, teams will receive a 15 minute penalty before receiving the next clue. That clue reveals the first Detour of the Race, Painted Hearts or Moving Art. For both Detour options, teams must first drive themselves to the Fifth & Mission parking garage to park their brand new 2016 Kia Souls. 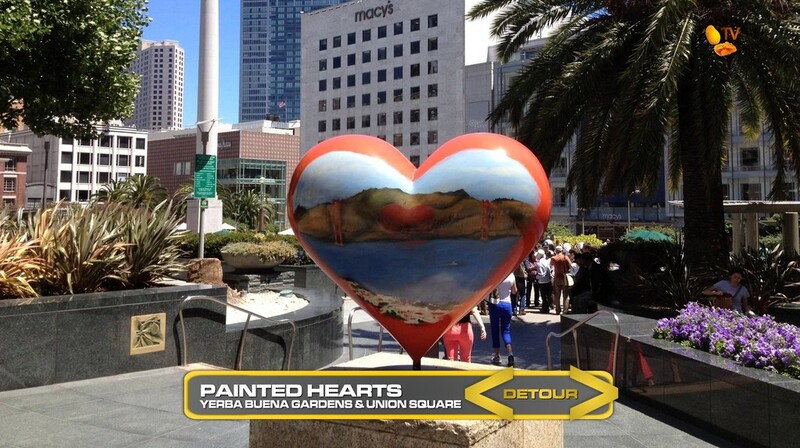 In Painted Hearts, teams must walk to Yerba Buena Gardens where they will contribute a piece to the Hearts in San Francisco art installation by completing an unfinished work. Once they’ve correctly painted the heart according to a provided photo, they must then deliver it on foot to Admiral Dewey. Teams will need to figure out Admiral Dewey refers to the Dewey Monument in the middle of Union Square, commemorating the Battle of Manila Bay. “Admiral Dewey” will then hand them the next clue. 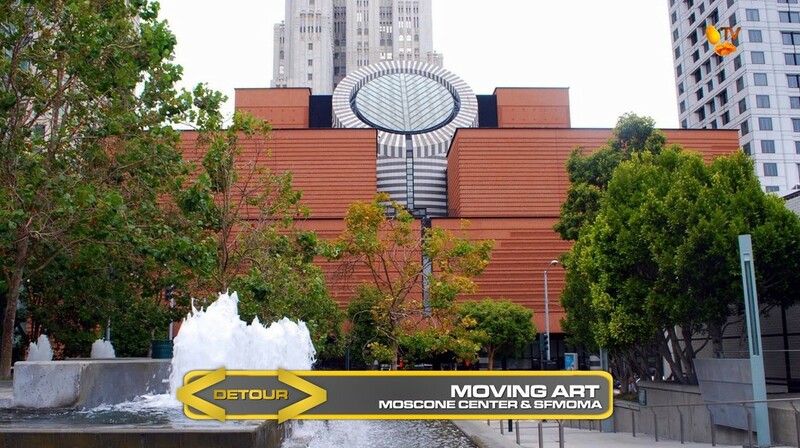 In Moving Art, teams must walk to the Moscone Convention Center where they must choose two photos of works of art they will need to find amongst hundreds in storage at the convention center for the currently under renovation and expansion Museum of Modern Art. Teams will need to figure out that the photos could be of either paintings or sculptures and that the photos don’t necessarily or accurately portray the scale of the works of art. Once they’ve found the two pieces, they must then deliver them to SFMOMA across the street to receive their next clue. 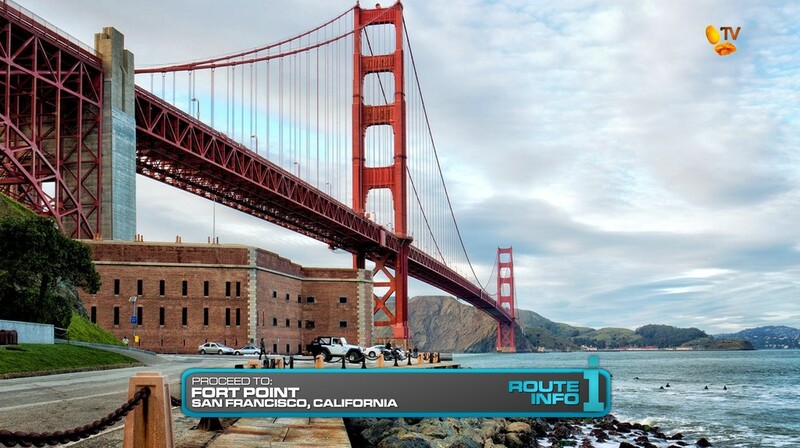 After the Detour, teams must drive themselves to the Presidio and find Fort Point. They will need to search inside the historical site for the cluebox. That clue tells teams to abandon their brand new 2016 Kia Souls in the parking lot and make their way on foot to Crissy Field. 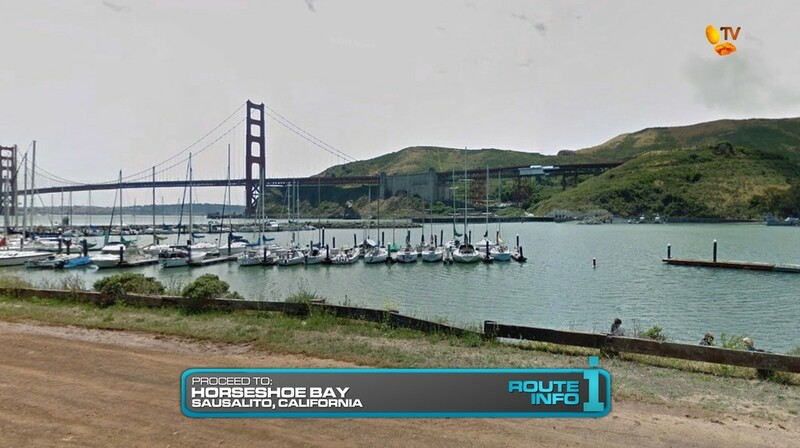 Here on Crissy Field, teams will choose jetskis and cross the Golden Gate to the Horseshoe Bay in Sausalito. 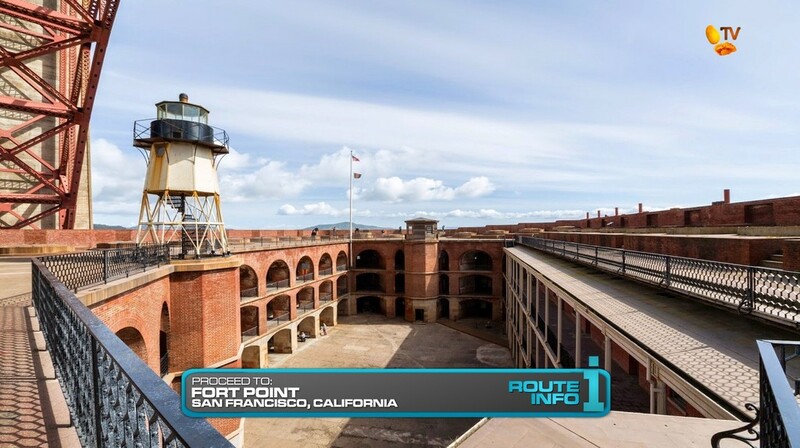 From here, teams will be able to run to the Pit Stop, Fort Baker. My hometown! Since starting to do these Leg design fantasy wishlist thingys, I’ve been looking forward to doing a Leg in San Francisco. Since it’s my hometown and where I’ve grown up, I thought it would be much easier than trying to figure out locations and things to do in other cities I’ve never been to before just from scouring the internets. But nope! This San Francisco Leg was much harder to do if only because there are so many different locations and things to do that I’d want to see on TAR. But I still wanted teams to take BART at least. Perfectly, they are able to take a short train ride to Colma station and then walk to my alma mater (woohoo!) 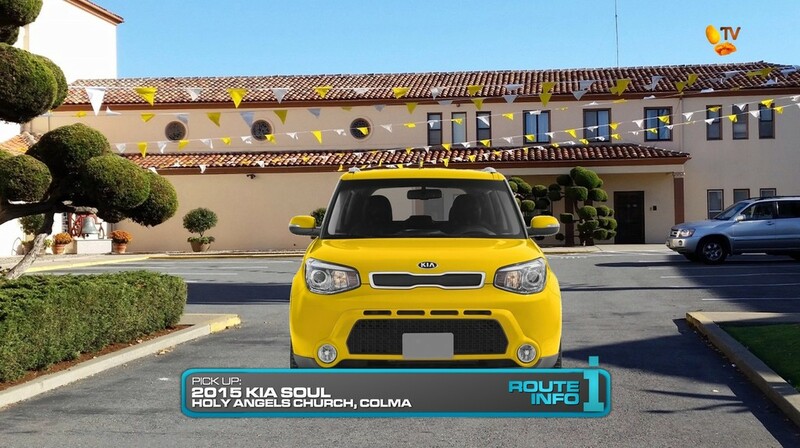 to pick up their pretty new Kia Souls. 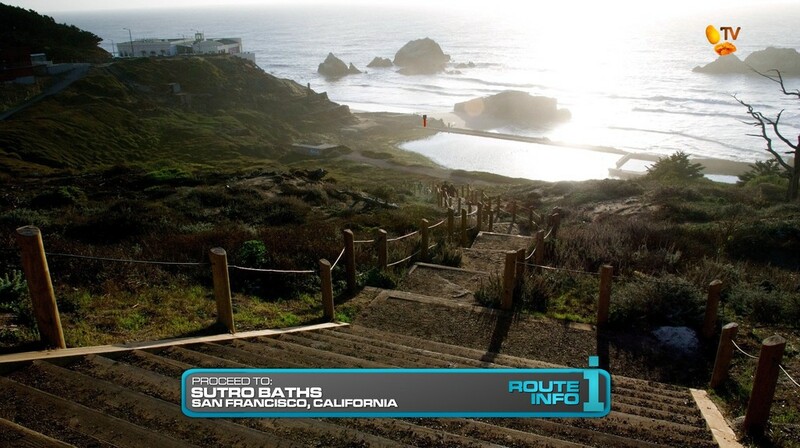 The Sutro Baths is a nice scenic location before having teams driving across the width of the city to AT&T Park. Traveling to the US for the first time, there has to be a task featuring America’s favorite pastime. And perfect too since the Giants are the reigning world champs (if this Race really were filmed and aired between October 2014 and October 2015). And for pitching and batting, that’s a perfect Double Road Block. Especially if the batter is struggling and they can’t switch positions. I didn’t want to make it too hard though, so that nine innings penalty will at least get teams moving. For the Detour, I wasn’t really sure what to do. I wondered if I should center it around downtown San Francisco or have them going to the touristy areas of the Embarcadero like Fisherman’s Wharf or Pier 39. Or maybe even have them drive into the residential areas. I considered having them driving out of the city, maybe to the very Filipino neighbor Daly City, or something. But I really wanted to keep this Leg concentrated in San Francisco itself. So I immediately remembered the Hearts of San Francisco art installations and the under renovation SFMOMA. 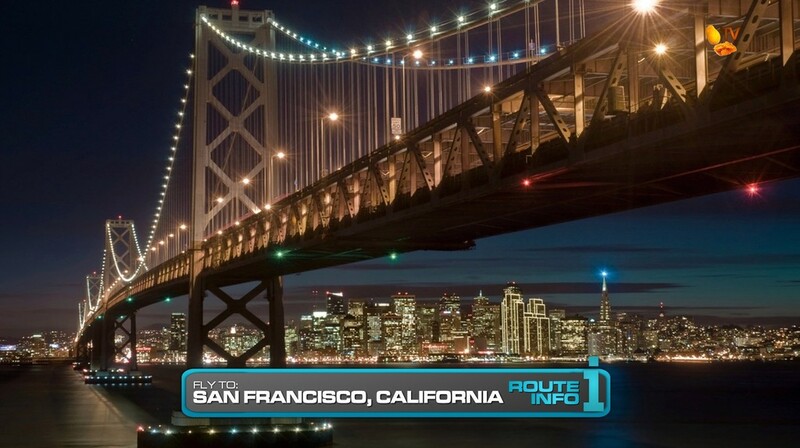 Both tasks are great in showing off San Francisco’s artsy (sometimes pretentious lol) side. But they also allow an opportunity for teams to run around downtown San Francisco. They’re easy tasks and the locations are not hard to find (maybe for me lol), but it’ll get teams interacting with locals. By now, we already have a full Leg, but why not stuff more in! The Fort Point cluebox search allows for stunning (hopefully drone!) shots of teams running around in the shadow of the iconic Golden Gate Bridge. 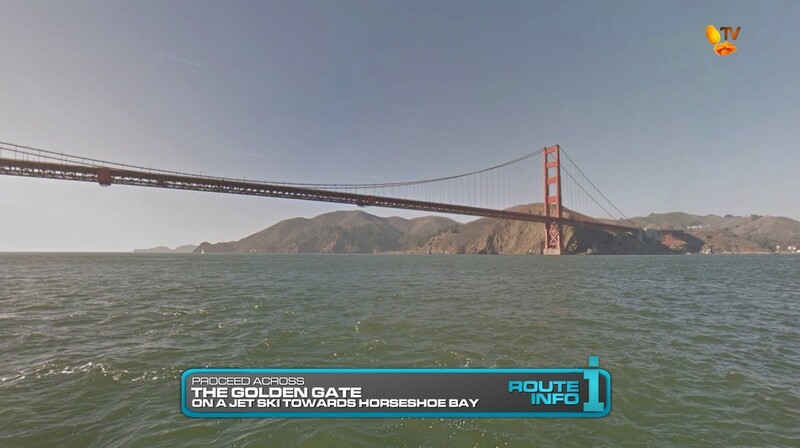 The jetski across the Golden Gate is “recycled” from my fantasy first TARUS Leg in which the Starting Line was at Fort Baker and teams jetski across to Crissy Field on the way to the airport (to the Philippines!). 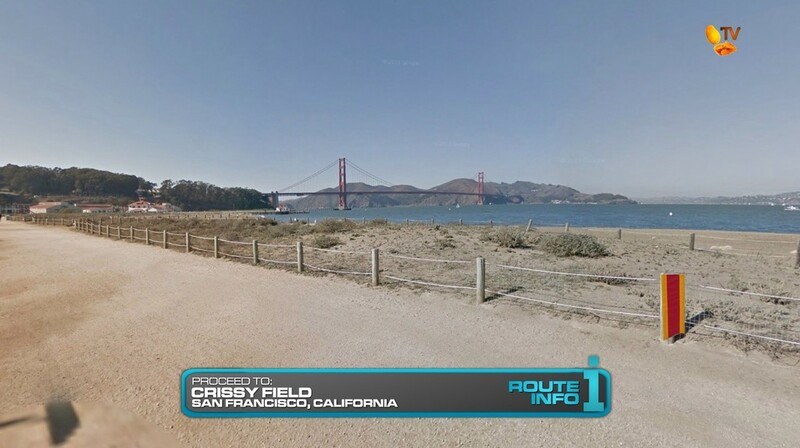 The jetskis and having the Pit Stop at Fort Baker is partly for my TAR fanboy-ness (TAR2!) but also for the sure-to-be incredible shots of teams on jetskis speeding by the Golden Gate Bridge. An alternate could be teams rowing themselves in rafts. But for safety reasons and depending on how long this Leg may take (can’t do it after dark), jetskis are probably faster. So a Leg close to my heart. I would love to see a foreign TAR have a full Leg in the City and definitely another TARUS Finish Line too.